Phnom Penh is Cambodia’s largest city, a home to more than 1 million of its 14 million residents. 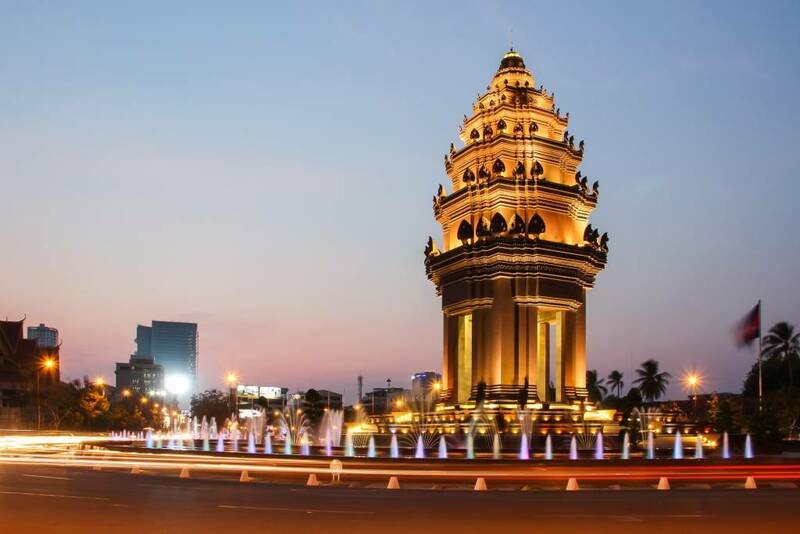 Being the country’s cultural, commercial and political centre, Phnom Penh boasts a number of attractions for tourists which includes temples, museums, the Royal Palace and many more. With that, we are sharing with you some of these must-see attractions and let you know why Bangkok Airways’ available flights to Phnom Penh should be your choice when you visit this city. Situated adjacent to each other on a 174,870 sqm of lush greenery stands Royal Palace and Silver Pagoda. 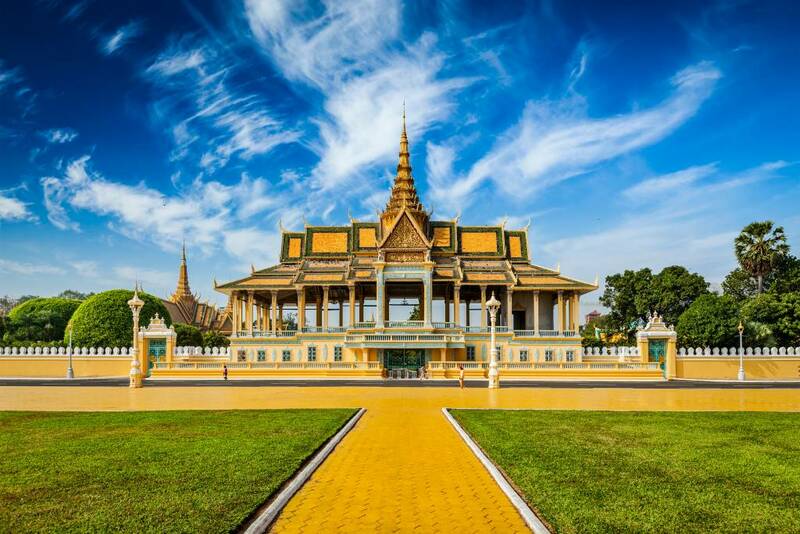 Inspired by the Khmer architecture, the Royal Palace and Silver Pagoda are definitely a must-see when you are in Phnom Penh. Up until this day, the King of Cambodia occasionally resides in the Royal Palace. You will know if the King is in residency if the blue royal flag is flying. You can choose to explore the place by your own, paying US$6.50 or US$10 for a guided tour. A haven for all types of travellers, you can discover unique and assorted goods in Central Market (Phsar Thmey). Designed by French architects Jean Desbois and Wladimir Kandaouroff, when the Central Market was constructed in 1973, it was the largest indoor market in Asia. Some of the goodies you can find here are jewellery, shoes, handicrafts, fresh produce and many more. Situated 17km south of Phnom Penh is where you can find The Killing Fields. It is a reminder of the tragic history of Cambodia where thousands were killed during the Khmer Rougue from 1975 to 1976. Half-day tours in The Killing Fields include informative audio guides available in many languages and testimonies from survivors and guards from the regime. Aside from what you read in travel blogs, you yourself can experience more of what Phnom Penh can offer you. 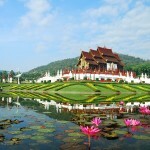 It is now easy to book international flights thanks to Bangkok Airways. A number of available flights to Phnom Penh and other destinations await you. Bangkok Airways promotions are also available from time to time, so do check out their website for a chance to fly to your favourite country with a discount! You can never go wrong with Bangkok Airways which offers the best personalized service for every passenger. Aside from its boutique lounges, appetizing menu and exclusive services await every passenger that chooses Bangkok Airways. Book your flight to Phnom Penh now and start your amazing journey! 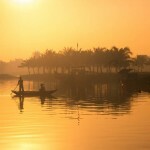 Book flights online through Bangkok Airways and fly to Vietnam!